The Chevy Bolt outsold almost every other plug-in hybrid and electric car that wasn’t a Tesla Model S in 2017, making it one of the most successful electric vehicle launches in recent memory. Granted, there’s always going to be two bars set when discussing electric vehicle launches. There’s the bar Tesla set, which is very high and very unlikely to be beaten, and then there’s the bar set by everyone else trying to catch up. Chevy Bolt sales hit 23,297 in the U.S. in 2017, the best sales for a new non-Tesla electric car since the Nissan Leaf in 2014. The Bolt was only bested by, you guessed it, the Tesla Model S, which moved 27,060 cars last year, just about 5,000 more than the Bolt. The other plug-in vehicles that fell behind last year include the Nissan Leaf, which was mostly just making room for the new generation’s upcoming introduction, Toyota Prius Prime, and awkwardly, the Chevy Volt. Back when the Bolt and second-generation Volt were announced side-by-side, many people, including myself, assumed GM would use the Bolt to push its clean-vehicle narrative and draw in customers to dealerships, and then close them in on a deal for a Volt. That didn’t happen, and now it raises the question of what purpose the plug-in hybrid Volt serves. What does it offer? This makes reports that GM already has it’s eye on canning the Volt by 2020 seem much more likely. Back in August of 2016, I wrote an article claiming Chevy didn’t know how to make an electric car Americans would buy, mostly based on comparisons to the then-recently revealed Tesla Model 3 and the Honda Fit. It would appear that 2017's sales figures proved me wrong. The Bolt was never going to reach the level of hype behind the Model 3's massive reservation figure—even Tesla is struggling to satisfy that demand—but it did manage a solid landing with its first mainstream effort at an electric car, and Americans did go out and buy it. I think there are a few factors that I overlooked in the past. EV and plug-in buyers bought the Bolt because they could walk into a dealership and drive home with it, taking advantage of the current federal and state incentives for EVs that could expire soon, and may not have wanted to wait for years, like Model 3 reservation holders. If they were in the market for a new electric car now, they could and did go buy the Bolt. 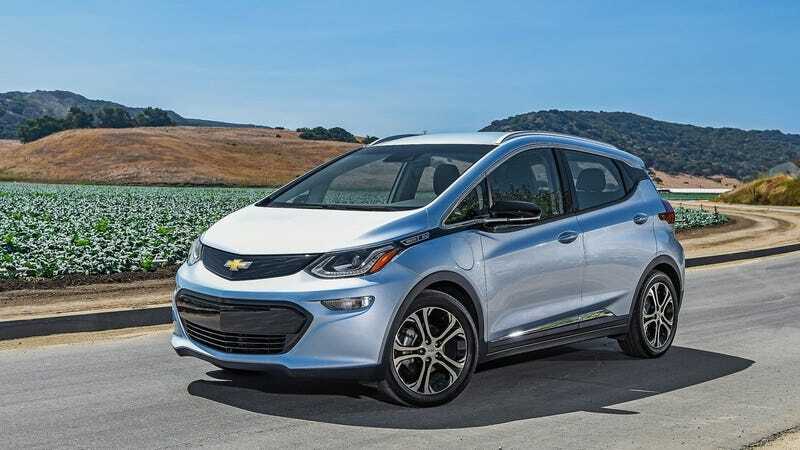 Additionally, the Bolt is backed by a well-established network of service stations and dealerships, and it was offered with bundled financing for at-home charging equipment and a warranty for those concerned with any potential servicing issues on an electric car. Plus, it was eventually available in all 50 states—an aspect Tesla continues to struggle with due to states not buying into its no-dealership sales model. The Bolt will have new competition in 2018 with the introduction of a new Nissan Leaf, increasing Model 3 deliveries, and likely a couple more plug-in hybrid or electric cars from other automakers trying to jump into the game. We’ll see if Chevy can keep it up, but 2017 was a solid win. This article was updated to mention previously reported rumors of plans to discontinue the Volt in 2020.